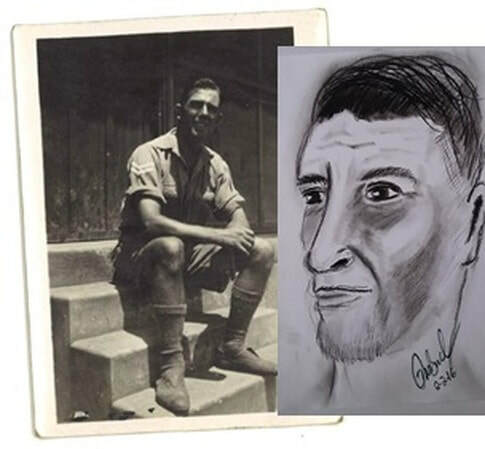 You will notice that the SPIRIT PORTRAITS I draw are unique in the way they are drawn simply because of their clear facial differenced between drawing to drawing. It's rare you'll find two drawings that represent two different people have the same eye, head, nose or mouth shape. 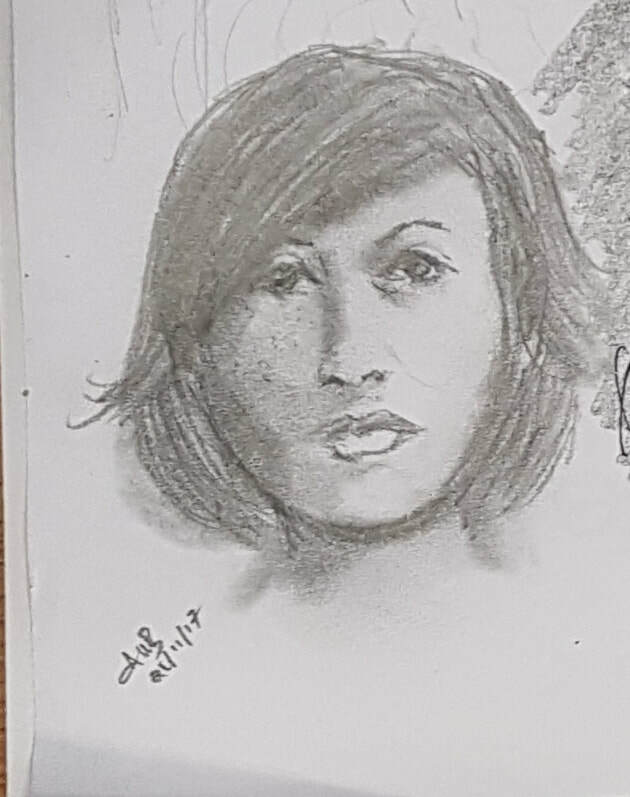 There are times however, when my drawings show the same person and this is because the same spirit communicator has visited me on more than once occasion to have their portrait drawn. I find I have a number of willing spirit people who appear to me as willing subjects to allow me to practice with. They may communicate their thoughts in a different way and may get me to use different drawing materials to best represent how they looked when in a physical body. I'm lucky and feel honoured so many stop by the studio to have a portrait sketch done. The studio is in my mind. When I open to the awareness of their presence, together a blended union takes place and with paper in hand I am able to draw a great likeness that best represents their individual looks as a person. Please feel welcome to view samples of my Spirit Portrait sketches below! I hope you enjoyed viewing my Spirit Portrait Gallery! These were just a FEW. If you want to learn how to draw Spirit Portraits as a Beginner then book the next available workshop. Can you spot the spirit man? Spiritualist Medium CSNU and Spirit Portrait Artist, London Face to Face Tarot Reader; Advanced Tarot Lessons London, Advanced Mediumship Workshops Accurate e-mail and postal psychic tarot readings by UK clairvoyant, online psychic advice, reports and guidance by well established psychic clairvoyant, Face to face portraits of the human spirit, spirit, spirit speaks spirit, faces of spirit, portraits of the human spirit, spirit portraits of loved ones, gallery of spirit portraits, creating spirit portraits, how to become a spirit portrait artist, how to become a psychic artist, Spirit Portrait Workshops London, Psychic Art Workshops London, Mediumship Workshops London well worth the travel to attend these workshops!